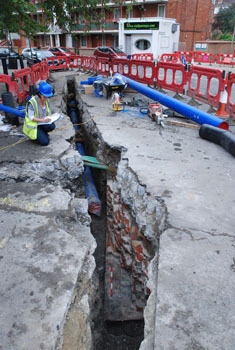 Much of our work involves 'watching briefs' - essentially the monitoring of intrusive groundworks during development by a professional archaeologist, often as a condition of planning consent. 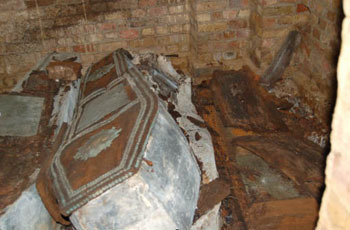 If remains are found during this they are appropriately investigated and recorded. 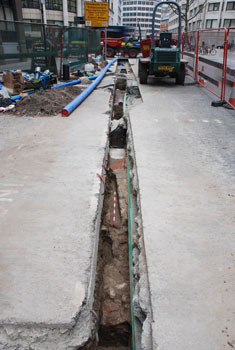 Examples of our watching briefs include substantial work on water mains replacement works throughout London and the surrounding areas. Some substantial finds have emerged in this project - such as the remains of a mill-pond bridge in Bermondsey, Roman deposits on Ludgate Hill in the City, and the remains of three city gates (all uncovered in the same day!). 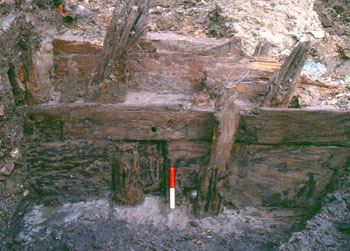 We have also undertaken other watching briefs for individual clients - such as a watching brief of the erection of a fence at St Ann's Iron Age hill-fort in Chertsey, of contractors' groundworks at St Ann's Church in Kew Green, and of the redevelopment of a waterfront site in Greenwich, where the remains of an 18th Century timber revetment were uncovered.